Orbison rode a few waves of fame which I credit to that voice. Like Chet Baker and Aaron Neville and a few other blessings, I have seen people pause when they notice what they are hearing as if an angel has just landed on their shoulder and whispered something that they never thought they needed to know. any fellow human being. He had early success with a sound that was beyond imitation. He wrote and performed some of the greatest music of his time. On the other hand, he did not fit the mold of an Elvis Presley or any of the pop groups. He looked fine and had a pretty good look with the dark sunglasses and black clothes, but he never caught on as a teen idol. He faced horrific tragedy as a young man, losing wife and children in separate incidents. 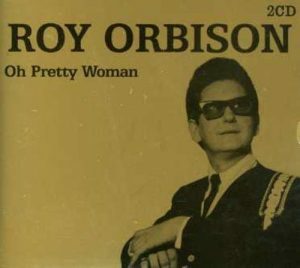 Bruce Springsteen name checked him in Born to Run when a few people probably had to ask around about this Roy Orbison who sings for the lonely. Resilience is not something that we think about in artistic careers. Instead, we decry artists for getting old and still performing. If we are not openly disdainful, then we are usually a little surprised, at least. After all, shouldn’t they be over whatever got them going in the first place, as if being an artist is something that people grow out of? An interesting aspect to Orbison’s style is the incredible intimacy of his studio recordings. The portable record player meant that you could take your favorite songs into the dark with you and listen over and over to that one song that was a direct link to your heart. The intersection of the artist and the technology is an unending curiosity. Orbison’s arrival at the right moment may have been fortuitous, but the sound of his near-operatic recordings was crafted to the studio capabilities of the day. He heard something that he could do and made it, to our never-ending benefit. Sometimes, the art is in seeing what can be done with the tools available. You’ve Got to Check This Out is a blog series about music, words, and all sorts of artistic matters. It started with an explanation. 215 more to go.